Synthetic Diamonds: Are They Actually A Good Substitute for the Real Thing? Over the past few years, the diamond industry has gone through a bit of a revolution. The market has been rocked by inflated prices, corporate greed, monopolization and unethical mining practices. This is where synthetic diamonds come in. Marketed as the answer to blood diamonds, synthetic diamonds have been hailed as the hero. However, more and more light is being shone on these stones and they aren’t so great after all. 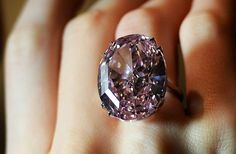 Here are some essential reasons why synthetic diamonds aren’t a good substitute for the real thing. https://i1.wp.com/nadb.com/wp-content/uploads/2016/06/synthetic-diamonds.jpg?fit=1280%2C512 512 1280 Summer Bowie http://nadb.com/wp-content/uploads/2015/12/NADB-transparent-logo.jpg Summer Bowie2016-05-29 08:33:122016-06-01 08:50:13Synthetic Diamonds: Are They Actually A Good Substitute for the Real Thing? When it comes to marriage proposals, it’s one of those things where you kind of have to go big or go home. It’s a big moment – a moment that will be remembered for a long time. Moreover, you are going to be telling the story over and over again – not just when you announce the news of your engagement, but also decades from now when your grandkids ask for the proposal story. To get a little inspiration, it helps to look back at the annals of really insane proposals. These people really took it to the next level. Here are five of the most insane marriage proposals ever. There is a good chance that you’ve heard the phrase “diamonds are a girl’s best friend” more times than you can count, especially when you are bombarded with advertisements and commercials for engagement rings. However, this begs the question: can diamonds be a man’s best friend too? Most of the time, men like to keep the bling on their diamonds to a super minimum, but diamonds can add a little extra magic to a men’s wedding band, especially if it’s done right. The answer seems pretty clear: diamonds can be a man’s best friend too, but here are some tips. https://i2.wp.com/nadb.com/wp-content/uploads/2016/06/mens-diamonds.jpg?fit=1520%2C671 671 1520 Summer Bowie http://nadb.com/wp-content/uploads/2015/12/NADB-transparent-logo.jpg Summer Bowie2016-05-22 08:21:322016-06-01 04:43:07Can Diamonds Be A Man’s Best Friend Too? 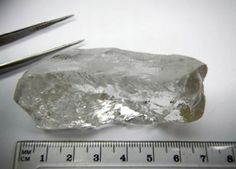 Just recently, a massive 187.7-carat gem quality diamond was found in the Arctic – in Northern Canada. Named Foxfire, the gem is the largest ever found on North American soil. Currently, the diamond is making the rounds to various diamond shows looking for suitors. That means the company that found it, Rio Tinto, is looking for a buyer. 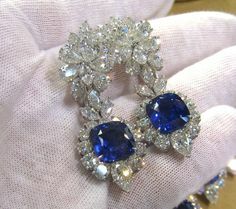 This can be tough, because diamonds this size are worth tens of millions of dollars, and they are truly rare. However, Foxfire is truly rare. Here are five things you should know about Foxfire. The first thing people think about when they think of diamonds is “how many carats.” However, when you tell someone that a diamond is one carat or two carats, they may realize that they don’t know what that really means. This is okay – a lot of people are in the same boat. 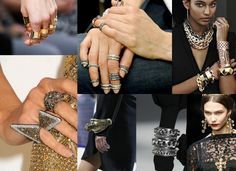 Moreover, people have a hard time understanding the difference between carat and karat, having no idea that one is a measure of weight and the other a measure of gold purity. In this article, we’re going to get to the bottom of the word carat. to buy your significant other. One of these accounts might do for a simple birthday, but your anniversary is so much more than that. Traditionally, each year has its own material. For instance, the second year is cotton, the third is leather and the fourth is fruit and flowers. The fifth year is exciting because it calls for wood. You may be thinking, “Wood, what could you possibly get your partner that is made out of wood and that is romantic at the same time?” You would actually be surprised. Here are some great fifth anniversary gifts. In past articles, we’ve talked about some considerations you need to take before purchasing a diamond. We’ve also talked about how to choose a diamond dealer. However, we haven’t really explored some of the last considerations you need to make before your credit card gets swiped. These last minute considerations are crucial, because it’s a little bit like tying up loose ends. 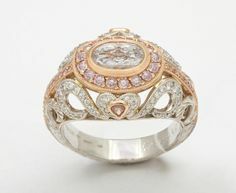 Here is a review checklist before you make your final diamond engagement ring purchase. The perfect anniversary is not something you can simply throw together and hope it all turns out. Of course, you can go the unplanned route, but you are often leaving too much up for chance. What happens if something doesn’t work out? What happens if you don’t get that reservation at that amazing new restaurant? I once ordered a gift for my significant other but they didn’t deliver to my country so I had to use a company that offers a service where you order from the UK and ship worldwide to your location. If I had planned ahead then I wouldn’t have been so stressed over the one gift! It did luckily arrive on time though. Ideally, if you’re having a night out then you want to plan it at least a month in advance – six months if you are planning on putting together a getaway. Other than that, there are a lot of other things you need to keep in mind for a killer anniversary. Here are five tips for planning the perfect anniversary.